Avail from us an exquisite collection of Floral Incense Stick also known as Floral Agarbatties. The Flora Incense Sticks we fabricate is extracted from the essence of flowers like Mogra, Tulips, Rose, Jasmine, etc. The Flora Incense Sticks are available in varied shapes and sizes. 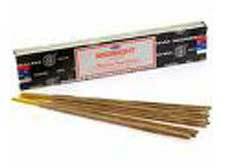 The Flora Incense Sticks we supply offers a freshening feel to the ambiance.